Thanks to Photoshop, face swaps have been around the internet for a long time, and they never fail to make us laugh. Now that we have mobile apps like Snapchat, it's easier than ever before to exchange one face for another, often with hilariously unsettling results! 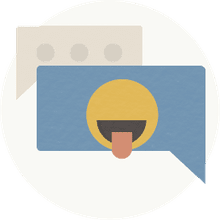 We've also seen more than our fair share of funny Art History Snapchats, wherein a famous work of art is given a modern, slang-ridden caption that catapults the image from boring to borderline-amazing with a few clicks of a mouse. Now, these two amusing meme trends have merged to combine one mega-meme: Art Museum Face Swaps. 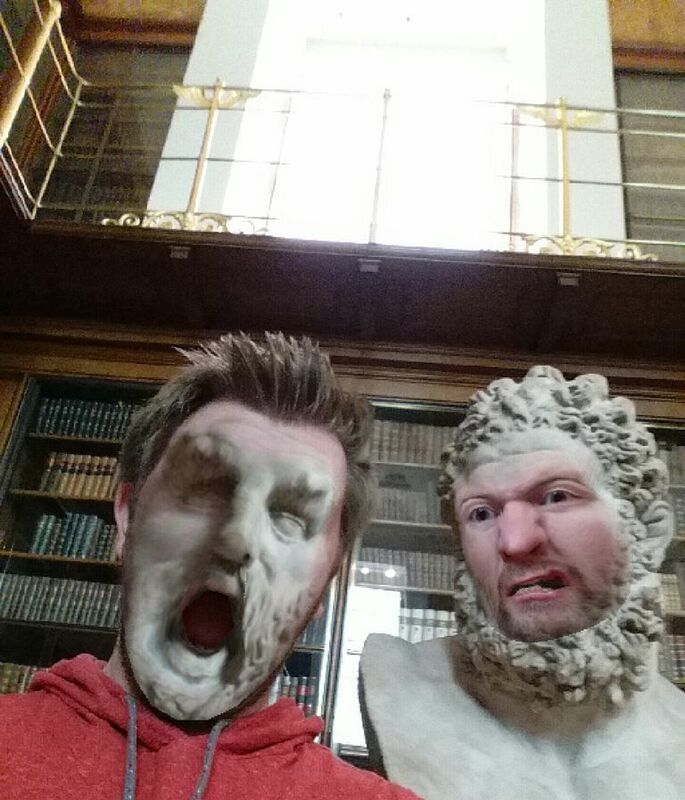 Snapchatters began swapping faces with statues and paintings while visiting museums early on, but the trend didn't really catch on until an Imgur user named JakeMarshall91 uploaded an album to the image sharing site showing him face swapping his way through the British Museum. His post went viral and effectively birthed a whole new meme! You can find a few of his now-iconic images below, along with many more other hilarious museum face swaps that we selected from social sites around the web. Taken at the British Museum, this is one of the funniest images found in Imgurian Jake Marshall's photo album. We can definitely see why these pictures went viral! Social Web Artist Jen Lewis shared this funny Museum Face Swap on her Twitter page. This one is so realistic, it's just a little bit creepy. Maybe not chicken-lady creepy, but unsettling nevertheless. We hate to break it to you, buddy; but you kind of look like a little old lady. Not that there's anything wrong with that. This museum-goer should do a little genealogy research... that woman in the painting could easily be a long-lost relative! "Who should I contact about my massive inheritance?" -- This girl, probably. Speaking of long-lost relatives.... These men could be twins! Is this purely a coincidence or perhaps some kind of glitch in the Matrix? That Painting Is So Life-Like! This must be one of those paintings with the eyes that appear to follow you. Kind of like the Mona Lisa, except also terrifying. If you're going to face swap with an abstract painting, it helps if you're also wearing a wild and colorful shirt. This guy nailed it! The Museum of Bad Art Just Got... Badder? Who says you have to swap faces? You can swap anything your app will allow, and no one can stop you. You do you, girlfriend. You Didn't Feel Like Sleeping Tonight, Right? Looks like she finally found a friend who really gets her. Too bad this friend has been dead for hundreds of years; you can't have it all! Here's another one of Jake Marshall's funny swaps. This one is particularly funny because of that crazy stone bowl cut he's rocking! Speaking of bowl cuts, have you seen these kids who rocked the world's worst haircuts on picture day? This photo might not have been taken at a fancy art museum, but wax museums still count! (Especially when the face swap is this perfect.) T-Swift hasn't gotten this many laughs since that time 4Chan tried to send her to perform at a school for the deaf, and the dude in back looks like an Allman Brother. The woman in the painting did pretty well with this face swap. The live human most likely experienced instant regret (after she stopped laughing). It's an art exhibit filled with rubber heads. Just another day at the Museum of Modern Art! If you think this is impressive, you should see her poker face! Chin up, little camper! At least you made a funny picture! I'll leave you with this last, terrifying image. Sorry for the nightmares!